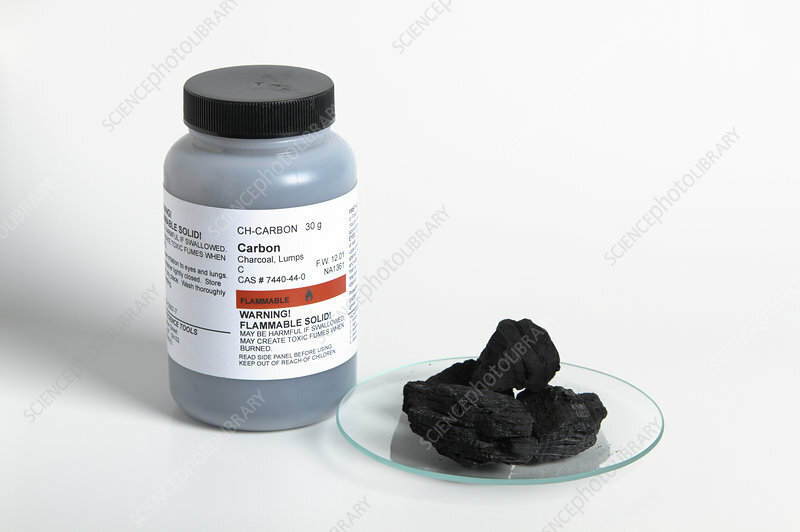 Carbon (charcoal) lumps. Charcoal is a form of carbon produced by burning wood in little or no oxygen. It is primarily used as a slow-burning fuel, similar to coal.